If you’ve searched for nursery design ideas, you’ll have been all drooled-out over Pottery Barn Kids’ outrageously adorable cots and cribs. Swiftly followed by head-banging-the-screen disappointed to discover you can’t buy it on UK shores. 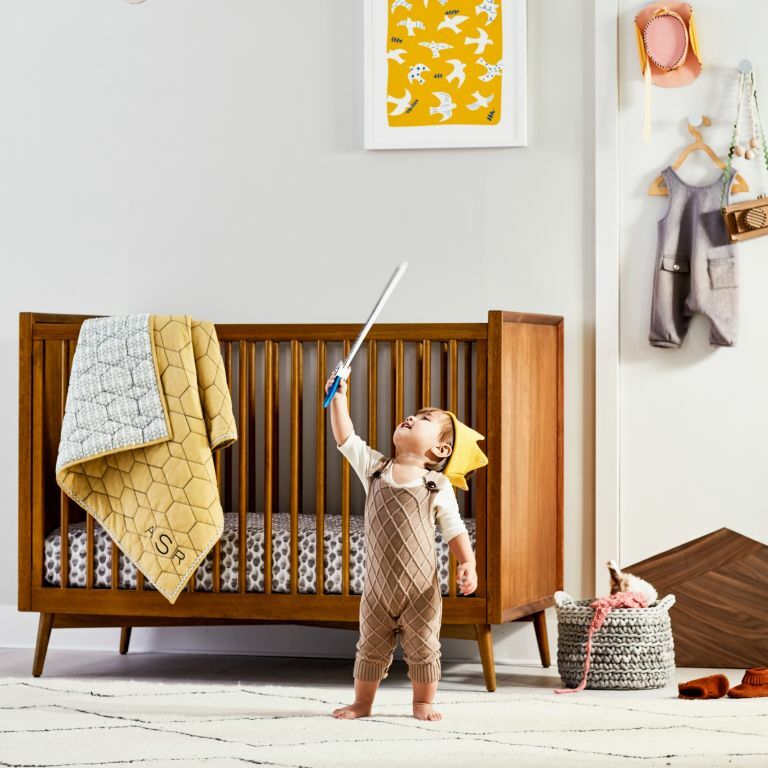 Thankfully the torture is at an end with the news that Pottery Barn Kids is now not only available online – get shopping at potterybarnkids.co.uk, or westelm.co.uk if you want to throw a few items for the rest of your home in the shopping basket. But, glory be, you can also eyeball it in the flesh at no less than three John Lewis stores, namely Oxford Street, Peter Jones and Stratford City. Highlights of the new PBK offers include The Mid-century convertible crib in sustainably sourced timber (pictured), at £499, geometric patterned sheets in the softest organic cotton, fabulously chic wall art, gifts and accessories. In fact, there are plenty of items that would suit any room in your house, so having an actual baby to shop for is entirely optional.